There has been so much innovation and new launches of helpful applications in eMentalHealth during the last years. Here are the best eMentalHealth tools of 2018. We are looking forward to the digitalization of almost any mental health service we can think of. The digitally connected platforms, user-friendly interfaces, real-time feedback, gives us great user experiences of the services on this list. eMentalHealth gives the opportunity to design Mental Health services which the user can fit into his or her schedule according to the prioritization of the individual, not the prioritization of the service provider. The biggest advantage of the digitalization is that it transcends space and time. The user can use his meditation iPhone application late at night before going to bed. It also gives the user the ability to wake up early and do an EMDR session before breakfast, if this is what fits in the schedule of the user. We need to adjust services to how people actually are using their limited time and energy. With the best intention, service providers often plan, execute, and follow-up on activities from their own schedule. eMentalHealth gives the opportunity to design Mental Health services which the user can fit into his or her schedule according to their prioritization, not the prioritization of the service provider. All these resources help the user to integrate the healing of his mental health into his daily life. If we are to democratize mental health tools we need to make them accessible to as many people as possible, for the lowest cost possible at any time of the day. As the global eMentalHealth market is growing, more services will be developed, the costs for development are shrinking, it is easier than ever to start a business and to develop software. All this points to a future where healing of our body-mind system will be accessible to each and every one of us 24/7. Welcome to read about the best eMentalHealth resources of 2018. We have been waiting for the rise of gamification of men’s mental health and our guess is that we will see much more apps and games like eQuoo in the future. We simply love this game and it is recommended by the largest online influencers in mental health. The founder/Psychologist Silja Litvin has created an Emotional Fitness game together with her business partners. The largest target group is men between 35-45 which make it fit very well on this list. The game idea is to learn new emotional skills in the learning section, then swish over to game mode and immediately practice the newly acquired emotional skills. For every level the difficulty of the game increases. Silja has big plans for eQuoo and like us, she is based in science and she hopes the game will go through clinical trials later 2018. She wants a game that is scientifically proven to improve the mental health of the gamers. The game has different skins and setups to fit different gamers preferences. There is a free version available in US, UK, Canada, Australia and New Zeeland on Appstore, Google Play and in Amazon Apps. Follow this link to get to get your free download and start gaming your way to improve your emotional fitness and your mental health. Cost: the basic version is free to download. The large Game Version is available through in-App purchase. Using this software is fun, easy and triggers my competition instinct in a beneficial way. In my personal day-to-day use of HeartMath, I sit with the device say 10 minutes a day, some days 30 minutes, some days nothing. The game is to score points, and HeartMath has come up with the term heart coherence, heart coherence is where the heart is at balance, calm, resting and functioning in a beneficial way for the individual. This coherence is leveled from 1 to 10, you as a user follows your heart rhythm and level of coherence on the screen, which is very interesting. The immediate biofeedback from stress, shallow breathing, distracting thoughts and else. All of this makes it very fun, and watching your personal progress into new levels of coherence is very rewarding and stimulating to have a day-to-day meditation practice. HeartMath is a system of devices; there is a laptop application, as well as an iPhone application. The basic idea behind the HeartMath technology is that our heart has an intelligence of its own, the heart has its own electromagnetic field which can be measured by science. By connecting a gentle sensor onto your ear (connected either to your iPhone or your laptop) the HeartMath Application will monitor the level of coherence of your heart. HeartMath Institute also talks about heart coherence, heart-rhythm coherence, physiological coherence, social coherence, and global coherence and you can learn much more about their research at their homepage. I have been using Virtual EMDR for two months, and it works well for me. With this tool, I am addressing issues with PTSD from my childhood, (some fearful and traumatic experiences I had growing up with a psychotic mother), depression, issues with anger. The immediate user experience is that the app is user-friendly, you’re also able to design your user experience. The process is so easy. You download and fill in the form about what you want to work on. Then you revisit your experience the best you can, and you try to relive the painful experience. Then you start the Java application directly in your web browser, adjust the settings to your preferred preferences, you follow the dot or square around the screen for a period of time. You keep your focus on the moving object and the sounds in your headphones for at least five minutes. (My personal experience is that I get into some sort of trance after a while, I am feeling like I’m being hypnotized by focusing on this dot and the bumping sounds). You then go back to your form and then choose a new frame for the original experience. What is the type of reaction and experience that you want to have instead? What would be the best future scenario? Then you open the application again and run it for a couple of minutes with this imagined experience at the forefront of your mind. Here is a link to their video page. After I’m done with these EMDR sessions, I feel lighthearted, and my problem seems gone for some time. It is a big relief. I am also quite disorganized and disoriented like I have been taking a short nap, I could have small problems with my balance. Not a big deal. This goes away after a one or two minutes. This experience is close to the one I have after I have been out dancing for some hours. One could argue that going into this type of therapy without a therapist present would not be beneficial to the client as the client could go into a past trauma, get psychotic, or something else. My personal belief is that this application is highly valuable to the vast majority of clients out there because the client can adjust the level of engagement himself/herself. The psychotic, dissociative clients would most likely not do the research, pay money up front and work according to the process. I do think most of us who is doing healing work have the capacity to exit processes and have an accurate understanding of the limits of our psychological ability. Of course, the personal guidance from an educated professional therapist would be very beneficial but one year of subscription for this application is about the same price as one therapy session with a trained psychotherapist. COST: $100 annually, $50 quarterly, $25 monthly. MBSR stands for Mindfulness-based stress reduction, and as the name implies this online course is for all of us that needs to reduce our stress. Jon Kabat-Zinn, Ph.D., was the pioneer who took the meditation practice called mindfulness and implemented into mainstream medical treatment. Over the years more than 20,000 people have taken the MBSR course through the Institute. And for the first time, this course is available to the general public, in this online format. This is an eight-week course, and during this weeks you will go through the basics of meditation, what mindfulness is, how it is beneficial for the body. You will also learn what stress is, how the body reacts to stress and danger or experienced danger. DISCLAIMER. First, I just have to admit that this is my absolute favorite among these eMentalHealth resources because this method is so deeply rooted in the body. I am a TRE provider myself and I have gotten great results from this practice. This might also be because I have been suffering for so long from untreated PTSD and depression and I have been getting so much relief from this online course. This is just my personal experience and my personal preference. I even became an instructor in this method because it has helped me reduce my stress level and release tension in my body. I currently use TRE – stress reduction exercises on a regular basis as my evening meditation and I host TRE workshops in Stockholm, Sweden in my own company, Resiliens which is Swedish for Resilience , which is built using the TRE method. In this course, Dr. David Berceli, the creator of the Stress Reduction Exercises method will take you through all of the steps of the method. The beauty of this method is that anybody can learn it, is that very, very simple. All you need is a very small space, perhaps at yoga mat to lie on, below under your head and that’s it. You will learn how to activate the body’s innate tremor mechanism, your body will start shaking, it this to the most part very calm and peaceful. If there is stored anger, grief, or sadness, these emotions would naturally come out. For this method to work properly, we need to let go of the impulse to control or limit the tremors. Dr. David Berceli developed TRE, stress reduction exercises during many years. In his research, David Berceli found that animals had this natural tendency to go in the state of tremors to release stress and tension after a traumatic experience. He also found that humans shared this tremor mechanism with animals and he found this mechanism in people regardless of cultural background. However, our culture is often preventing us from letting or body to tremor, because shaking in a fearful situation is too many people sign of weakness or lack of personal control. It is often seen as unmanly to tremor even though this is a natural response of the body to a stressful situation. TRE, stress reduction exercises have been found to be most helpful to soldiers, veterans, police officers, first responders and other professionals who constantly work in extremely stressful work environments. 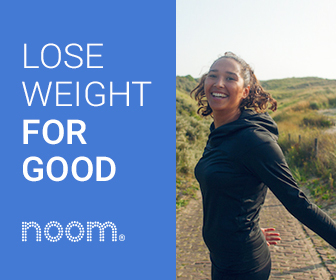 Noom is your personal health coach in your phone and helps you to lose weight and prevent diabetes. This application helps you achieve lasting behavioral changes, weight loss, and Diabetes prevention. Their solution is to use the empathy of your personal health coach, together with the apps’ technology for data tracking to help you reach your health goals. When you open Noom you fill in your personal data, your weight loss goals, and are able to give Noom read and write rights to your Apple health application. The key when working with Noom is to track your health activities, you fill in what food you are eating, how long you have exercised. the basic service is just to fill in this data, see your progress and keep your motivation yourself. Within Noom, you are also able to work with a personal coach, who have access to your data. Together with this coach you work to reach goals. And I can assure you that it is highly motivating to change your behavior and keep your track when you know that somebody else is going to look at your data. We will gladly recommend Noom to anyone wanting to change their behavior around food, training, and lifestyle. The service is great and the vision of the company is fantastic. Noom has been able to raise huge sums of money in their funding rounds and it seems they have a great opportunity to change the way our health care system works. We sure hope they will succeed to make it more efficient. We are still examining a number of applications. Which application or service do you wish to see on this list? Please comment below and let us know. We are open to add useful resources we haven’t yet heard of. 2 responses on "Best eMentalHealth Apps of 2018"
successful stories of the use of Turmeric extract (Turmeric is a flowering plant of the ginger family, Zingiberaceae, the roots of which are used in cooking. According to Dr Ahmed’s stories, the treatment usually last for at max 4 months.